The FDA considers the integrity of laboratory testing documentation records to be of fundamental importance during drug manufacturing. As a drug manufacturer, you must ensure that your laboratory-based investigation of failures (OOS results and confirmed OOS results) is carried out without compromising product quality or current authority expectations. 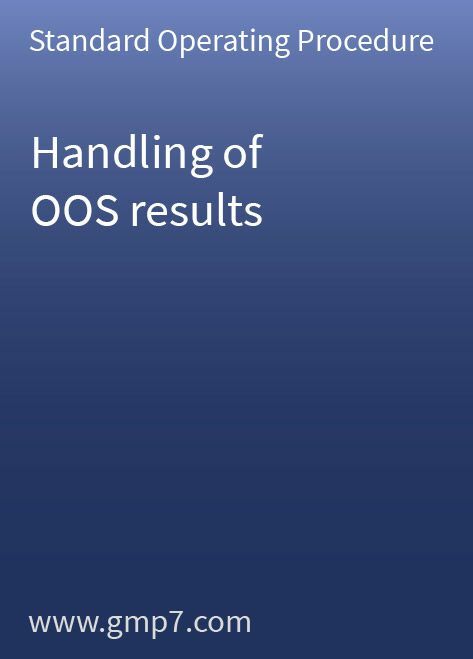 This Standard Operating Procedure (SOP) (13 pages plus attachment) guides you step by step through the process of investigating and documenting OOS results. It describes the responsibilities of laboratory personnel, QC supervisors and QA managers. Attached to the SOP is an easily understandable form that reflects the OOS process. The form divides relevant data and assessments into three logical sections: the preliminary assessment, the investigation plan and results and the final approval. This Standard Operating Procedure (SOP) only needs a small amount of site-specific modification before it can be adopted for your operations.